I'm flopping around like a fish in the back of a pickup truck in Nicaragua, trying to smoke a cigar, but I can't manage to find my mouth. This is my fault for not wearing a seat belt. The truck is climbing up a rocky mountain, going in and out of craters on a path that some people might consider a road. I continue to bounce and shake and flop and now the sun has completely disappeared. Once we hit a smooth patch I start to take a puff, but I'm thrown out of my seat again, ashing all over myself. At this point, I'm beginning to think the driver is doing this on purpose. We're on the craggy terrain of the San Lotano farm, owned by A.J. Fernandez, right off the Pan American Highway in Estelí. The driver took me here straight from the airport in Managua. Much of the tobacco for the San Lotano cigar brand comes from this farm. Not that I can see any of it in the dark. When we get to the top of the hill, we stop short of an enormous tractor and whoever's operating that thing decides to shine the lights right on us. Night farming? We get out of the car and the guy on the tractor dismounts. It's A.J. Fernandez himself who walks over in his muddy sneakers. Yes. Night farming. He does this every night. When everyone has gone home (save for the armed guards), A.J. comes back to the farm. Finds something to do. This is how we first meet, A.J. and I. Finally, I'm steady enough to take a dignified puff of the cigar I was trying to smoke. It's called Last Call. 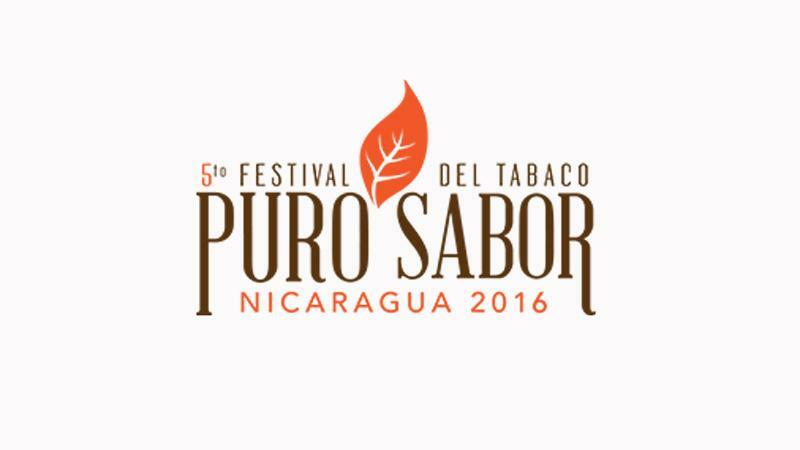 Unless you're here in Nicaragua right now, you haven't smoked it. Last Call is a 4 inch by 48 ring gauge cigar (the shortest he makes) and is part of a new "tobacco studio" he's trying to finalize. Like other cigar companies, he's forming a subsidiary to come out with more experimental blends—kind of like Oliva's Studio Tobac or Gurkha's East India Trading. It packs a bit of a punch. "My friend!" exclaims A.J. A big hug from the self-proclaimed guajiro. "I am a country boy," he says in a thick Cuban accent. He jumps into the truck and signals for me to come inside. The tractor is still running. "What about the tractor?" I ask. He just smiles, takes the Last Call cigar out of my hand and throws it out of the window. Then he hands me another one. This time I put on my seat belt. On the way down the hill, I can see the Criollo '98 just starting to sprout—about a foot high. This is a dry growing season. "Plague," A.J. says ominously. "No rain this year because of El Niño. A big plague is coming. Not disease. Bugs. But I'm ready." It has indeed been a dry season, but that hasn't stopped A.J. from cultivating tobacco. There have been some big changes at A.J. Fernandez. First, the partnership between him and Kris Kachaturian is gone. Plus, there's more family employed in his company. That's something he's shooting for—a more family oriented business with a more family oriented feel. He's also cutting down some sizes and cancelling some lines. Remember the San Lotano core line in Broadleaf? It was the only one that was box-pressed, and no, I don't mean the Oval. Anyway, bad news if you liked it because it's been discontinued. Same goes for the lanceros he made. Gone. If you liked them, buy them now. But there are some good things ahead. A.J. has grown a small amount of Pelo d'Oro, and I smoked a prototype of a cigar that will use this tobacco. He doesn't have a lot. Didn't grow a lot, and it's going to be a limited edition. A true limited edition. It will also be the most expensive cigar he's ever released. His cigars have remained in the safe $8 to $12 territory for some time, so this one will probably make it to $15. What I smoked wasn't a final blend, but certainly interesting. Did you know that his San Lotano farm and San Lotano brand were originally supposed to be called San Lutano? In Cuba, that's what you call someone from the San Luís province—a San Lutano—and that's what he is. But they screwed up the name at the trademark office, and he decided to just go with it. "How's the cigar?" he asks again, as we leave the farm. It's good. Very good. Even better when the road is smooth. We go back to his house for another Monday night ritual: football. He loves it. His Super Bowl prediction is the Carolina Panthers will win. American football isn't too popular in Nicaragua, but then again, neither is Pelo d'Oro. Tomorrow morning, he'll be back at the farm before dawn, before there's any sunlight in the mountainous valley, thinking about the next variety of tobacco he can grow.